While in Cape Town I had the opportunity to visit the infamous Robben Island where Nelson Mandela among many others was held prisoner (more about this next week). After visiting this very moving place I was taking the ferry back to the mainland. While on the ferry I was thinking about what I had seen and what life must have been like in South Africa during the apartheid era. All of a sudden a group of school kids started singing. 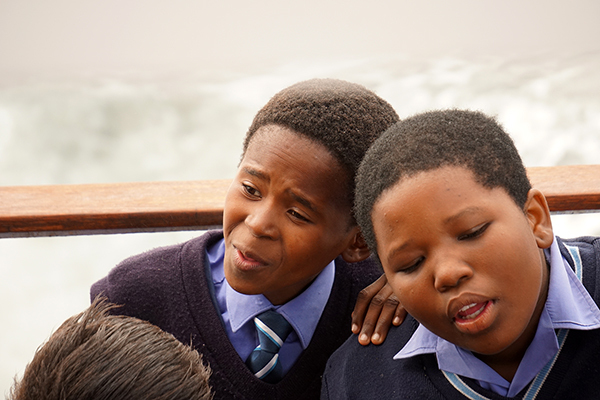 I believe Robben Island is a must visit location for school kids to learn about history first hand. These kids are sometimes known as the “frees” as they were born after apartheid and never had to experience what it was like to live under that system. Listening to them sing songs (which were political in nature) I was so moved. They are the future of South Africa and I hope will be tomorrows leaders of South Africa.